Zen Buddhism is what the Japanese call Chan Buddhism. Chan Buddhism originated in Northern China at the Shaolin Temple on Mt. Songshan. Bodhidharma is the founder of Chan or Zen Buddhism. Since Americans refer to this off-shoot of Mahayana Buddhism as, "Zen Buddhism," we will also. Why do the Japanese sit and meditate? Because Kung Fu was illegal in Japan. To be a Zen Buddhist, you must do Kung Fu. The Japanese found that they would not be executed if they substituted sitting meditation for the Kung Fu exercises. Unfortunately, this lack of exercising is the opposite of what Zen Buddhism is about: being healthier and living longer. Sitting with your legs crossed reduces blood circulation. Doing Kung Fu increases blood circulation. Buddha Zhen has just released an amusing book, HISTORY OF ZEN FROM A TO Z. This will give you a new view of Zen Buddhism and a new view of several other religions also. Visit our bookstore for other books to aid your Zen journey. The TAO OF TAOISM is also available for the first time since 1994 when Buddha Zhen founded the Shaolin Chi Mantis Traditional Buddhist Gongfu and Taijiquan schools. 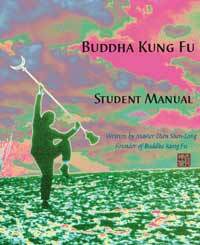 The TAI CHI BEGINNER book is also available as a "Class Reading Manual," and reformatted for the smaller ebook reading devices. 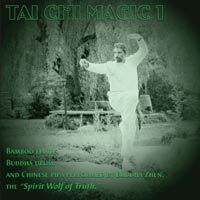 with Qigong, Yoga, and advanced energy flow meditation exercises of Shaolin Kung Fu. We're glad you've visited us and hope we'll be a regular pit stop on your path to enlightenment. Shaolin Zen Home | Privacy | Private Lessons | Support | © 2012 shaolinMUSIC.com All rights reserved.